Oh boy. Here we go with the end of The Micronauts: The New Voyages — volume two for those of you unfamiliar with the original, AWESOME volume one. 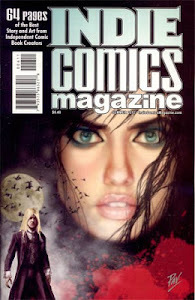 Today we’re going to take a peek at the last two issues of the series. If you’ve been following along since the first “Micronauts Monday” post (thank you, btw! 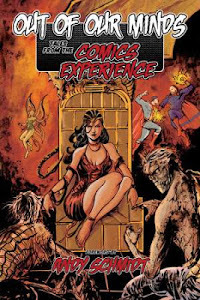 ), then you’ve probably guessed that I did not like the second volume either in my younger years, or in my later years, which is a total bummer. That said, there are still two issues remaining, so before we come to any consensus on these issues, let's walk out onto the diving board, gaze into the pool below, close our eyes, plug our nose…and leap in. The Micronauts: The New Voyages #19 - Written by Peter B. Gillis, pencilled by Howard Bender, inked by Danny Bulanadi, lettered by Janice Chiang, colored by Bob Sharen, edited by Ralph Macchio, published by Marvel Comics. We all know that covers never lie (“uhhh...no we don’t”), and this one heralds the return of Baron Karza!!! Yeah, not quite. The Micronauts are back on Homeworld, what is left of it anyhow, and the desolation is nothing compared to molecular planet’s individual spheres being blasted apart. Scion appears in his new form, and tells the Micronauts what Solitaire did way way way way way way way long time ago. They fight. Solitaire crys. Rann also cries as he explains on and on and on and on about what has happened over the past 18 issues, and it all leads back to Baron Karza’s version of the Prometheus Pit. There’s also stuff about stopping the Pain, and being “prime beings,” and Rann discovers how to control the pit. Young Donist - Young Donist couldn’t make it through a read of this issue. He did, however, start with hope, especially after opening to page two and three to see Karza talking about something or other, but after flipping to the next page it was clear that the Baron wasn’t going to be showing up in any substantial form at all. The cover lied. 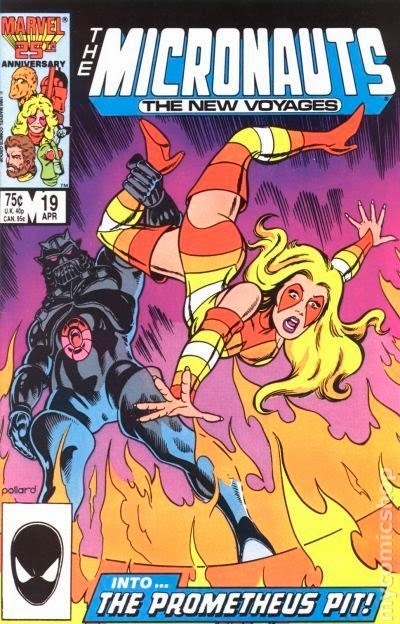 Not only that, the two characters I never even liked — and felt the Micronauts should never have given the time of day — get into a fight and I just didn’t care. Sure the growing to giant size, and shifting forms as they fought was neat(ish), but all the crying and the talking seemed to go on forever. Even when Rann puts on the Karza armor, and began to get that certain evil tingle…yawn. I reached for my Mage, my Elementals, and my Squadron Supreme. Blah. No recommendo, my friendo. Current Donist - First of all, I should know better than attempting to read The Micronauts: The New Voyages late at night, right before bed, after a full day. This issue took two attempts to get through and I really wanted to understand what the heck has been going on with the Pain, the Makers, what Baron Karza knew and didn’t know, who these Solitaire and Scion characters are, what this reverse-engineered Prometheus Pit is all about, and on and on. It wasn’t easy to kinda-sorta get the gist of what the heck has been going on for the majority of this second volume, and unfortunately once I did sort of “get it” I was anxious to be done with the series. I’m only guessing here, but I suspect that this storyline was supposed to play out over many more issues and have the rather intricate plot come about slowly, but upon receiving notice of the series cancelation, the creators had to wrap things up quickly. Or perhaps Takara decided to yank the licensing to the property, whether because of the direction of the series, or flagging sales, or something else entirely — I need to do a little digging. Regardless of the reason to cancel The Micronauts: the New Voyages, I agree that it was time. That said, I would have preferred to see a volume three, or an entirely new creative team brought in to return the series to the exciting, action-packed, space opera many of us grew up loving; years later, we almost got a third volume. Rann trying on the Karza armor and beginning to bend to the madman’s will is an awesome idea, and something that should have been pursued back in…say for instance…issue two. Unfortunately, we get this cool twist in the penultimate issue which is a bit of a bummer. As for the Scion/Solitaire stuff, I have to defer to my younger self. Yeah, I never really jived with those two, and I never understood why smart, rational, seasoned, space-faring, heroes would ever put up with these meddlers’ level of nonsense. Solitaire a five-million-year-old trilobite? Scion a newer model of Solitaire? Seeding Planets? It just ain’t my bag. The Micronauts: The New Voyages #20 - Written by Peter B. Gillis, pencilled by Kelley Jones, inked by Danny Bulanadi, lettered by Janice Chiang, colored by Bob Sharen, edited by Ralph Macchio, published by Marvel Comics. Face front true believers! We’re here for the exciting “cosmic conclusion” to the series! We begin with a splash page of an image that has never happened in the book, that the Micronauts were never able to achieve, and that does not happen at the end in any shape of form…but whatever, let’s just call it a bonus pin-up that somehow became page one and leave it at that. Scion and the Micronauts all jump into the Prometheus Pit to go to individual planet spheres to be obliterated so their genetic goop can bring new life to the Microverse. The Makers appear and look like a mix between the Celestials and the Acroyears, and Rann goes full-on eeeeevil, but Mari dive-tackles him into the Prometheus Pit so he can seed a planet somewhere, too. Meanwhile, Solitaire skulks off to be miserable for another million years. Young Donist - “That’s it?! You’re kidding me. Arrrrrgh!” Young Donist was not impressed by either the finale or the series as a whole, and we better leave it at that, as I have tried to clean up my potty mouth over the past couple years here on Donist World. Just know that the second volume of The Micronauts was not Young Donist’s favorite thing in the world. Current Donist - “You’ve got to be kidding me.” <sigh> So, the Micronauts allowed themselves to be manipulated for roughly 17 issues and all so they can be made into cosmic seeds to restore life to the Microverse. Why couldn’t Scion do it? It’s what he was created for. What about Scion’s other siblings? Can’t they do it. Plus, why do the Micronauts get the healthy hi-pro glow to begin with, when they were never created to seed the Microverse to begin with? Dang, denizens, I have tons of other gripey questions about this, but I just want to be done this second volume, which is unfortunate. The series started with so much promise, but it kind of went too far into the metaphysical and the what does it all mean? when there was really no reason to go there, as I explained last week. 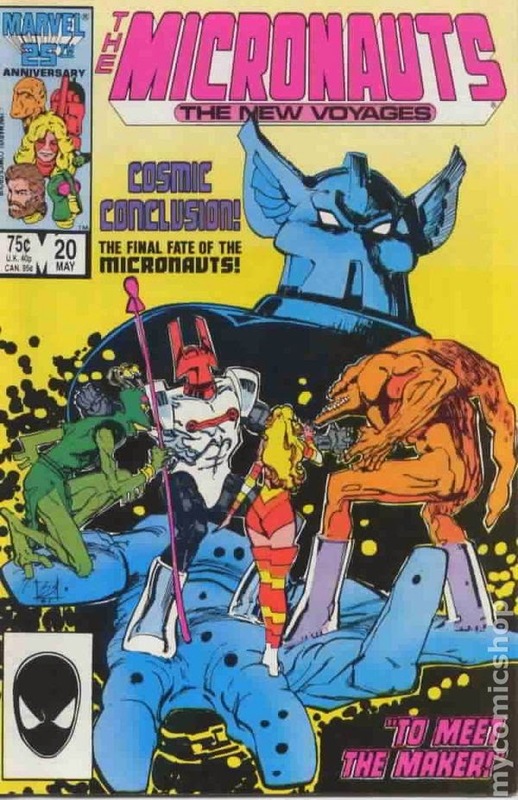 I did not like the Micronauts-as-seeds-of-life ending, and after 59 issues and two annuals for volume one, a four-issue crossover with the X-Men, and now 20 issues in the second volume, I find it hard to…digest? absorb? accept?…that Rann and Mari’s last moment together is her dive-tackling him into the Prometheus Pit before he can become the new Baron Karza. After all of the strife and obstacles seeking to keep these two lovers apart, the series ends with them apart in a forced moment. Then Bug sneezes butterflies and each Micronaut commits suicide: alone, and separated from those who were their closest friends, comrades, loves, their family…basically the things that made the original series so damn compelling. I will say that Jones’s art looks great, but not even that is enough to salvage this issue, or the series in the end. Not recommended. Yikes. Sorry, denizens, I wish I had better news to report on the second volume of what is one of my all-time-favorite comic book series, but unfortunately I do not. That said, I beg you to seek out all 59 issues of the original series, as well as The X-Men and the Micronauts four-issue mini-series; the two annuals are up to you, they’re only okay. If you are a fan of the original series that changed my life, and you have not read The Micronauts: The New Voyages, then pick up the first couple issues and see if they work for you. You never know, they just might tickle your fancy, but those first 59 issues are magic that more than stand the test of time. 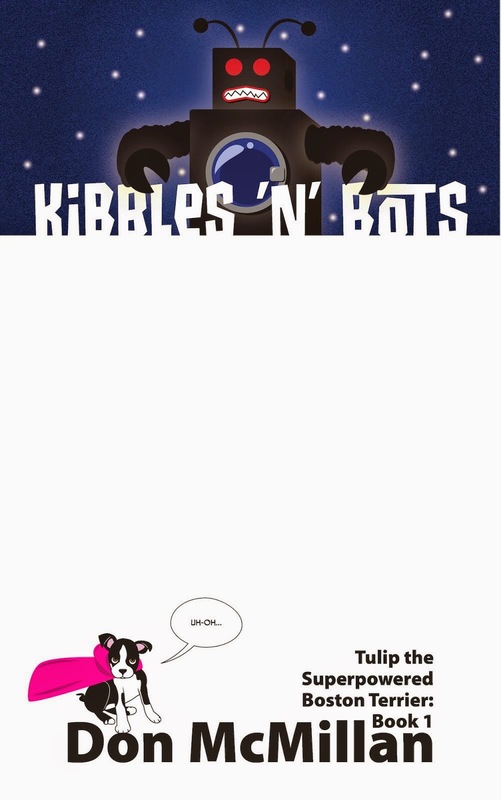 The first three scripts and artwork (I believe) for a proposed third volume exists and I will have a look at those, and will probably revisit “Micronauts Monday” at some point in the future, but for now it looks like the end. Thank you so much for joining me the past few months, and I hope you enjoyed my ramblings about the series that created a comic fan, and made me interested in writing my own stories. So…Did any of you denizens read this follow-up to one of the greatest comic series of all time? If so, what did you think of it? Do you have your own experience with The Micronauts you would like to share? I’d love to hear your thoughts. Thank you so very much for reading. While writing this entry, I listened to the amazing new(ish) album by the Dum Dum Girls “Too True,” and to the awesome new album by Beverly “Careers.” Give both a listen, and you will see what I mean.